Many of you have probably heard the story of the 2 salesmen who went down to South Africa in the early 1900s. The first one came back and reported, “Situation hopeless, they don’t wear any shoes!”. The second man reported, “Glorious opportunity, they don’t wear any shoes yet!”. A similar situation can be said about the country down under. Australia has been one of the strongest performing stock market in the history of time. According to Credit Suisse Global Investment Returns Yearbook 2016, Australia has, in real terms, been the second-best performing equity market over the past 116 years. Since 1900, the Australian stock market has achieved an annualized real return of 6.7% per year. Australians also rank second in the global per-capita wealth table after the Swiss. However, the lack of coverage on the Australian Market by media channels and probably due to its isolated location down under has prevented many investors from seeking and enjoying the opportunities there. As I mentioned in my previous article, you have to be an intelligent investor. Diversify your portfolio and look out for opportunities everywhere. While the US always seem to be the best place to seek opportunities, I would like to bring your attention to Australia. 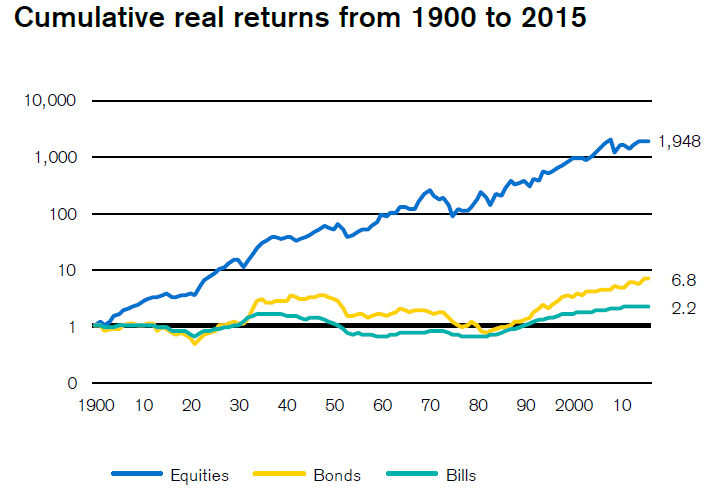 Over the last 116 years, the real value of equities, with income reinvested, grew by a factor of 1,948. This is the second best performing stock market after South Africa which overtook Australia a couple of years ago. On a similar comparison, the United Kingdom grew by a factor of 445 while the United States grew by 1,271. Australia is very rich when it comes to the natural resources it possesses. From wool to iron ore, gold and aluminum, they have it all. In fact, the vast amount of natural resources helped Australia overcome the global financial crisis in 2008 and 2009. In addition, if you look at the Australian Stock Exchange, over 30% of the companies listed there are mining or minerals related. Australia is very rich when it comes to the natural resources it possesses. From wool to iron ore, gold and aluminium, they have it all. In fact, the vast amount of natural resources helped Australia overcome the global financial crisis in 2008 and 2009. In addition, if you look at the Australian Stock Exchange, over 30% of the companies listed there are mining or minerals related ones. In January 2017, the number of ATM withdrawals made in Australia hit a 15-year low (Refer to infographics below for chart). A failing financial system or the birth of a new era? Well, it relates back to the 2 salesmen that went down to Africa. As most Australians are now paying with their credit cards and smart phones rather than cash, a whole new behaviour could be spotted in the near future, behaviour that we might soon see in other parts of the world.